Do Men and Women Differ in Their Retirement Planning? The challenges faced by Women Retirement Planning are the additional hurdles they may face compared to men. They are more likely to interrupt their careers to care for their families, and they live on average three years longer. Audrey Owen writes about her own retirement experience, and offers very useful insight into the subtle differences - and similarities - between men and women when it comes to financial planning for retirement. Women retire. That's a fact. Even women who don't work outside the home retire in the sense that their incomes change when their spouses retire. Sadly, not all women prepare to retire. 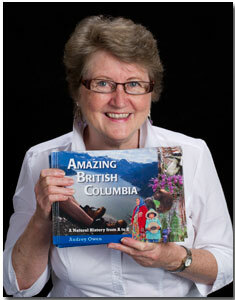 I was never married, and I'm recently retired from a lifetime of teaching school in Canada. I loved my job! There was not one day when I got up dreading to go to work. I was financially secure. I have an indexed teaching pension. Although recently the indexing has been threatened, it is still in place, and I expect it to continue. I also receive money from the Canada Pension Plan, the national plan for all workers. It's nowhere near enough to live on, but it does allow me to save even while I'm on a pension. I expect it will help to fill in the blanks if the teachers' pension plan indexing falls through. In five years I'll qualify for the Old Age Pension, the national plan for all senior citizens. At the same time, my teachers' pension plan will be reduced by about the same amount. Since I know about this ahead of time, I'll be prepared. I both edited and wrote while I taught. I also created four Web sites. In all three cases, the work adds to my income. More importantly, the work gives me contact with the larger world and gives me a sense of fulfillment. This makes me like a growing number of retirees who continue to work in some way while collecting a pension. I had relationships that did not stop just because I stopped working. I've been especially thankful for former colleagues who stay in touch. My mom did not work outside of the home until she was 52. Over my father's objections, she completed training to be a childcare worker and worked in a day-care. Then my dad died suddenly. He didn't expect to die, but the rest of us should have recognized his declining health. His poor planning left my mom with very little money. She got one half of his civil servant and Canada pensions for six years and from then on joined the 80% of married women who are fine while their husbands work, but who fall into poverty when they are widowed. She ran a home day-care for a few years until that became untenable. From that time on, my mom managed financially by living with one or the other of her children, longest with me. Luckily for both her and for us, she is one of the sweetest people you could ever hope to meet. She has always been frugal, so she makes her meagre income go farther than most. But she finally had to sell her home, which she had rented out from time to time, to support herself. Because she had rented the house, she did have to pay capital gains tax on part of the sale price, but there was still a sum that should take her the rest of the way into old age. My mom has dementia, and that is what pushed me into retirement sooner than I would have liked to have gone. But it's been a good move. Certainly it's been good for Mom. She doesn't deal with a variety of caregivers and the family knows exactly what is going on all the time. It's also been good for me. I had no idea that retirement could be such a great thing! But it is. Early planning has helped me a lot, as have my ongoing literary endeavours. The future looks bright. One of Audrey's Web sites deals with retirement issues. One of the challenges you may face in mid-life is supporting aging parent(s). 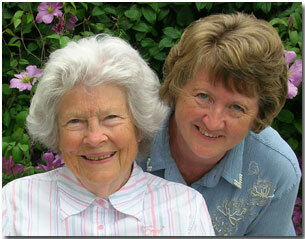 My personal story Circle of life deals with assisted living and senior living communities. Stay in touch and subscribe now to my monthly email newsletter, Retirement Stories. It contains new stories and tips on planning for and enjoying an active retirement.